Anyone who enjoys any kind of sport can usually ramble on about the benefits any of them provide. The same can be said about e-sports. Those who are involved in this particular form of the sport may make the claim that this gameplay is better than traditional sports. But, the traditional athletes can come back with a whole list of benefits of their own to offset this claim. For those who are familiar with e-sports, they are usually able to quickly outline all of the differences between e-sports and traditional sports. One of the major ones is the changes that take place. In traditional sports, the concept and how the various games are played usually remains the same. The only changes that take place will be concerning the athletes on each team year by year. This holds true for e-sports as well. But a significant change which takes place in the e-sports arena is that new games are being added to each category frequently. So, for those fans who are into e-sports, they can expect a new game to come out rather quickly. A lot of traditional sports fans will pay for memberships to go and watch their favourite games. Quite often, this is the only way they can see the game in real time. Although, many times, they can see replays of it later on. With e-sports, these are often streamed online in real time, with no cost to the spectators. 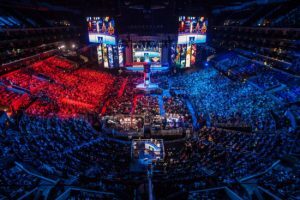 Many of the professional e-sports athletes will indicate that it is much easier to become successful in this arena, compared to the traditional sports industry. It is true that e-sports professionals don’t make the same amount of money as regular athletes. But, with the growth in this industry, the professional who used to make thousands of dollars, now makes millions.